Lars Schall: 70 years ago, on September 18, 1947, the National Security Act created the Central Intelligence Agency, CIA. Douglas, you refer to the CIA as “the organized crime branch of the U.S. government.” Why so? Douglas Valentine: Everything the CIA does is illegal, which is why the government provides it with an impenetrable cloak of secrecy. 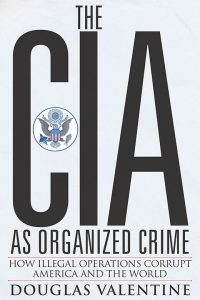 While mythographers in the information industry portray America as a bastion of peace and democracy, CIA officers manage criminal organizations around the world. For example, the CIA hired one of America’s premier drug trafficker in the 1950s and 1960s, Santo Trafficante, to murder Fidel Castro. In exchange, the CIA allowed Trafficante to import tons of narcotics into America. 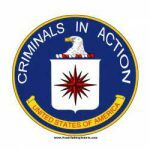 The CIA sets up proprietary arms, shipping, and banking companies to facilitate the criminal drug trafficking organizations that do its dirty work. Mafia money gets mixed up in offshore banks with CIA money, until the two are indistinguishable. The reaction of the police to death of a key witness in the trial of an accused mafia leader is very much like their reaction to the death of Michael Hastings — move along there’s nothing to see here. And like the investigation of the death of the witness, the death of Michael Hastings will be solved when outside groups push for an honest investigation.